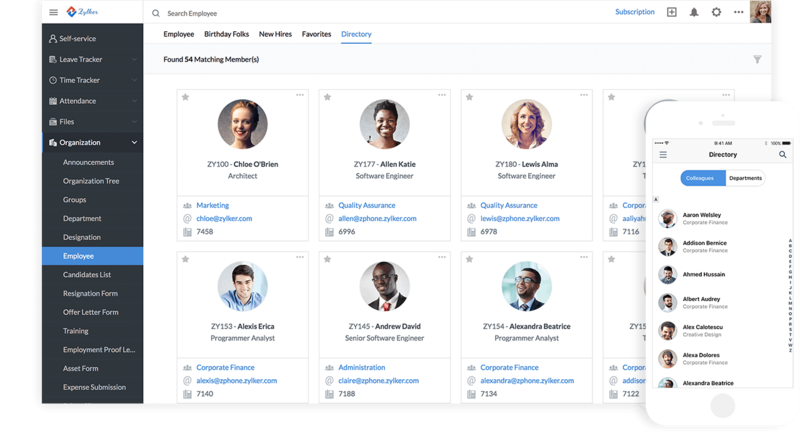 Human resources software for small businesses manages multiple people processes, freeing you up to focus on your business. Good HR software should be able to track the life cycle of an employee from hire, to on-the job performance, to benefits and payroll. It’s also usually cloud-based for portability and ease of use. Rather than evaluate HR software that only does one thing, such as software that does recruitment, manages leave balances, or keeps track of employee time, we looked at all-in-one HR software that does all those things. The HR software applicants we choose as best are those that tick most of the boxes, and can streamline the HR side of your small business. We choose Paycor as best overall, all-in-one HR software at a low price, with all the features that small businesses need. We recommend Paycor as the best overall HR software for small business due to price and features. For example, it supports the entire employee life cycle. What that means is that you’ll have one system to manage your recruitment, new hire onboarding, labor law compliance, payroll, benefits, time and attendance, performance management, and reporting needs. That saves you from having to “add on” additional software as your business grows. It’s also affordably priced compared to larger HR information systems (HRIS) like SAP and Workday, and can be used by even the smallest of businesses. It’s best for any small business planning to grow past 50 employees and that also wants a full-blown HRIS system. Another benefit of Paycor is that it’s scalable. Paycor can grow with your business, from 20 to 2,000 employees or more. In fact, they have clients as large as 10,000 employees. There’s no need to upgrade or change your HR software as your company expands or acquires new entities. You can just add additional features as you need them. Paycor costs as little as $5/month per employee for basic HR and payroll. You can add features once you get to 50 employees, like ACA compliance for about $2/month per employee, time and attendance for an extra $3/month per person, or workers compensation for about $10 per payroll run. They price by quote after interviewing you to find out the exact services you need. Depending on what additional functions you need, you can add those tools as widgets within the HR software. That makes Paycor scalable for what you need today and in years to come. 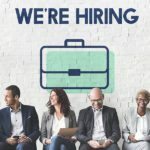 Paycor starts with features that help you hire the best employees. Their recruiting software was designed by professional recruiters. 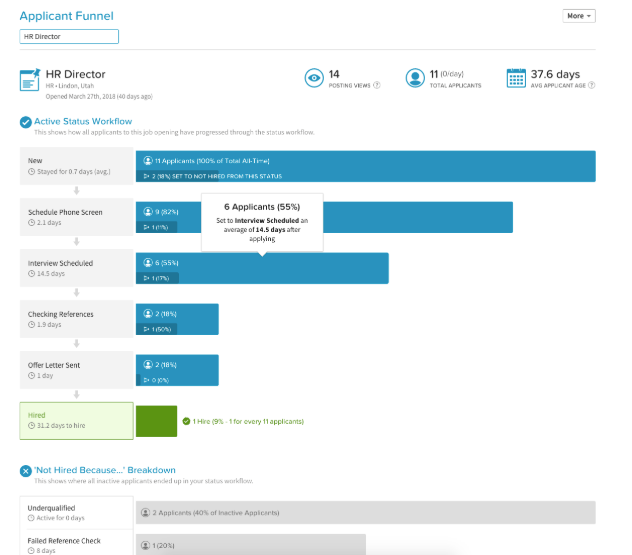 It’s easy for applicants to apply and for you to manage your hiring pipeline. Paycor manages your hires from onboarding all the way through to payroll. It can even support ongoing employee performance and training for you. In addition, much of the functionality is driven by workflow and electronic signature. Therefore, you can get out of the business of filing paper HR documents. For example, if you offer benefits, Paycor provides a mobile app so that employees can manage their benefits online. In addition, setting up Paycor can be done in hours, not days or weeks like other HR software. Paycor offers a robust applicant tracking system to manage your recruitment pipeline. Paycor will even help you find hiring tax credits available in your location to help offset your payroll tax liability. Once a candidate is hired, their data passes through to HR and payroll, so onboarding can begin. With Paycor, onboarding is easy. They provide your employee handbook, electronic documentation, and all compliance forms such as I-9s and W-4s. They do so in an easy-to-use employee self-service portal that gives employees the feeling of working for a large professional corporation. In addition, Paycor contains a built-in learning management system (LMS) that allows you to assign and track employee training, such as your new hire orientation. Paycor offers a time and attendance system that does more than manage clock-ins and -outs. It also provides labor costing metrics and it’s integrated with payroll, saving you manual (or duplicate) data entry. Employees can clock in via mobile, web, or time clock, and they can manage their schedules using the mobile app. Paycor’s payroll solution is its core strength. It’s built to catch errors and provides workflow and approvals as well as payroll tax integration for all 50 U.S. states. Paycor lets you slice and dice any of the system data. You can create custom reports based on the business information you need to make decisions. It also contains many standardized reports for quick access to information—so many, in fact, that they offer a keyword search function to find the report you’re looking for. And any of the standard reports can be customized. Further, files can be exported in case you want to share data with others systems, like charting software or mileage apps. Or, you can use one of Paycor’s many existing integrations. They interface with tax software, banks, insurance companies, recruiting firms, and retirement services. They also provide a developer portal to build your own APIs. Paycor provides support via email and phone. They have a tool they call their solution finder as well as a help center and FAQs. They provide over 30 local business offices that work standard business hours based on the time zone. In addition, they use customer feedback provided on their website chat to help them determine how best to improve their software. Paycor has no free trial and no free version. You will want to get all your questions asked and answered by the sales rep before you commit. Paycor’s user reviews are generally positive on review sites, including ours. What users like most is that it’s an all-in-one solution. What users like least is that their customer support is based on the module you’re using, so you may have an inconsistent support experience. We recommend Zoho People as the best free HR software for up to five employees, as well as for its range of add-on business tools. It costs $1/month per employee if you have six or more team members. That makes it less expensive than Paycor. In addition, Zoho People is part of a much larger suite of business software. Therefore Zoho is a great place to look for business apps that integrate with your HR data. But don’t let the price fool you—it’s still a full-featured HR system that includes an employee database, recruiting, time and attendance, employee self-service and leave management, and it offers many of these features via their mobile app. Zoho People is free if you have five or fewer employees. In the free version, you get an employee database, document management, leave tracking, reports and mobile apps. Otherwise, the price ranges from $1 to $5/month per employee for the various plans that include additional features as shown below. *Free for businesses with fewer than five employees. Discounts available with annual billing. Therefore, the HR software costs less than Paycor. However, none of their packages include U.S. payroll. You’d need to find a free or paid payroll program to manage that. Zoho People provides basic HR data, documents, workflow and reports in its free package. You can then add on leave tracking, time and attendance, and performance management for an additional charge. Because Zoho is a small business-friendly ERP, you also have the opportunity to add on functions like recruiting for as low as $25/month. In fact, Zoho’s suite of products includes sales, marketing, finance, and collaboration tools. They even have applications to manage your IT and help desk functions, as well as help you create custom solutions for your specific business. Businesses that need these types of software may find Zoho People to be a great starting point. Zoho People lets you create customized data entry forms for employees. The number of forms you get is based on your package. In addition, they provide standardized forms to capture employee data, leave requests, training and travel requests, as examples. The resulting data is then stored with the employee record, saving you from having to maintain separate paper employee files. For an extra dollar per month per person, you can use Zoho People to keep track of employee time. This saves you from buying a time clock, manually adding up paper time sheets or investing in another timekeeping application to gather your employees’ hours worked each pay period. The time tracking data can then be exported to your payroll system. Zoho’s performance management functions are one of the best we’ve seen in an all-in-one HR software. It’s included in the Premium and Enterprise versions. You can set goals, identify key result areas, and give feedback to employees—including 360-degree feedback. In addition, they track talent management aspects for each employee, such as keeping track of employee skill sets and competencies. These tools make it easy for you and your managers to write periodic employee reviews using data and feedback from peers and direct reports. Zoho People provides payroll integration with greyHR (UAE) and Paybooks (India). Or, you can create your own payroll integration to software you already use, such as QuickBooks. Zoho People can integrate with just about any software through Zapier. That way, when you complete a workflow step in Zoho People, such as time approval for payroll, it can create a “zap” in Zapier to update your third-party software, such as payroll processing software like ADP, Patriot, Wave or Gusto. Although it’s an extra $25/month per user, you can set up an account that lets you recruit from the same platform. The Zoho Recruit software function provides you with a career website, links to premium job boards, and resume parsing so that you can recruit and compare applicants side by side as you manage them through your hiring process. This saves you from having to invest in third-party recruiting software. Once you make a hiring decision, that person’s data can pass directly to your HR system. You can submit a ticket online or send an email to get help from Zoho People. They’re available 24/5—Monday through Friday, 24 hours a day. There’s also a knowledge base and a user community that can help you with routine questions. Zoho People can link to other software through Zapier, but it has no native integration to payroll software used in the U.S. or to benefits providers like healthcare and life insurance companies. That means you have to set up the integrations yourself. In fact, one of the integrations you can make is from Zoho People to Paycor Perform, but if you’re going to do that, why not use Paycor in the first place? Zoho People has pretty good ratings, about on par with Paycor. We don’t currently have our own review of Zoho People, but we’re working on it! We do have a review of Zoho’s other products. OneMint is best for fast-growing small businesses and global small businesses, particularly in complex industries like healthcare and food service. It’s scalable and takes care of HR management for small companies. It’s priced only a bit higher than Zoho People, but includes payroll in that price. OneMint can also grow with you. It has the additional advantage of working well for businesses with a global workforce in terms of HR and talent management, as it offers those features worldwide. OneMint costs between $7 and $10/month per employee based on company size, feature set, and your negotiation skills. That makes it on par with Paycor, but a little pricier than Zoho People for U.S. users. Of course, that price includes payroll, so you don’t have to add on a payroll system at extra cost like you would with Zoho People. They also charge a setup fee based on the number of employees. For example, to set up the system for 25 employees, it would cost $500. However, it’s possible they’ll reduce or eliminate the setup fee based on contract negotiations. Unlike some HR software that cobbles together various tools, OneMint is designed as a single database. That means there aren’t going to be interface issues between different parts of the software, such as HR and benefits, or benefits and payroll. In other words, it’s not a roll-up of other software that has been bolted on over time. It’s been designed as one interconnected system. 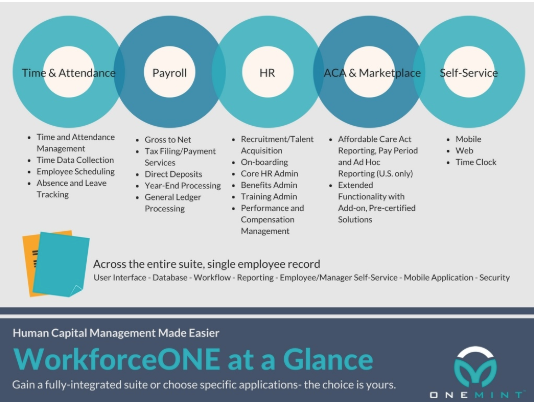 OneMint includes HR, benefits, and payroll. It also has workforce management, such as timekeeping and scheduling. And, it includes talent management—with recruiting, promotions and incentives. Therefore, it fits the bill as all-in-one HR software. Within one system, you can configure your security in terms of who has access to the system, such as your HR representative or supervisors, and what features they have access to. You can even control when they can use the system, such as during working hours, and where. For instance, if you only want employees using the software while on the job, you control that. 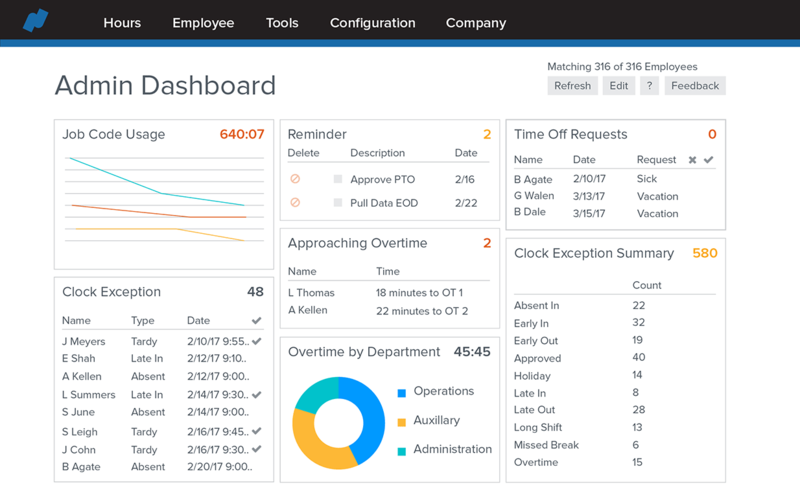 The OneMint system can be configured to allow approvals and workflow in all areas, from employee performance reviews to the approval of time cards. In fact, typically difficult-to-manage features, such as benefits enrollment, can be pushed to employees through self-service options that let employees set up benefits without requiring the help of their manager or HR. With all the data in one system, your reporting becomes easy. Depending on the different modules purchased—HR, payroll, time and attendance, scheduler, ACA, benefits—there are over 100 standard reports. Reports can also be created on the fly from nearly any screen with the custom report builder. OneMint prides itself on helping you get set up. They work with you to determine the modules you want to deploy, such as payroll and benefits. Then they help you step through the configuration needed to support your business processes. They also integrate with benefits, tax and banking vendors, as well as QuickBooks. They also have an API option similar to Paycor in case you want to connect your data to third-party applications, such as expense tracking or another general ledger program. OneMint provides support via phone and email Monday through Friday, 8 a.m. – 5 p.m. PST (extended hours are offered for premiere packages). Or, send a request from their website. They also offer extensive self-help articles and interactive tutorial guide for customers to use 24/7. What makes them stand out regarding support is that when you contact them, you’re getting an expert from their development team. The same people who build and maintain the software are the ones who provide you with customer support on it. They typically respond to requests within two hours. Currently, OneMint only offers payroll in the U.S. and its territories. Payroll services are not offered globally. Only the HR and talent management aspects of the software are designed for global use. OneMint is just a few years old and has great (albeit few) online reviews. This is an up-and-comer that may be perfect to support your small business. Gusto is best for small businesses that want to offer employee benefits. Gusto is designed as payroll software; however, its HR and benefits offerings are so robust, and its price so reasonable, that we’d be remiss in excluding it from our best HR software list for small businesses. Gusto provides HR, onboarding, benefits, e-signature, payroll, and reports. And, it’s priced a bit lower than Paycor and OneMint. The best feature of Gusto may be that it serves as an insurance broker. It can provide health benefits to your small business employees, regardless of how small your company is. You can offer healthcare, 401(k) and other employee benefits to improve your employee experience and retention. Like OneMint, it includes self-service so that your employees don’t have to come to you with basic HR questions, like needing a copy of last week’s paycheck, finding out what their dental copay is, or asking how much PTO they have left. Employees can find this information for themselves. Gusto’s pricing is transparent. It starts with a base price of $39/month. On top of that, you’ll pay $6/month per employee or contractor. Everything from HR—onboarding, e-signing of documents, document storage, ACA compliant benefits, leave tracking and payroll—is included at that price. Tax filings are also included at no extra cost. Unlike with many other HR software, you don’t have to sit through a sales pitch to sign up with Gusto. You can try the software free for 30 days by answering a few questions about your business. Gusto’s HR software contains an employee database, online forms, e-signature, and your employee handbook (or their template you can use to create one). 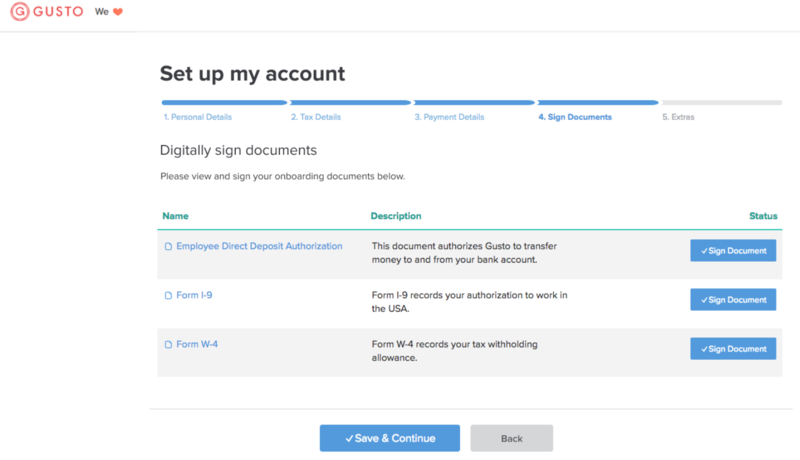 When you hire an employee, they provide self-service onboarding so the employee can complete and sign documents like W-4s and I-9s electronically. Gusto also does payroll. It’s included in the price. When you’re ready, Gusto offers benefits such as health insurance and 401(k), all integrated into one software package. Again, the service is included—but of course, your employees (or you) will have to pay the premiums. If you need timekeeping, Gusto provides an interface into free timekeeping, scheduling and employee messaging software, Homebase. But Gusto doesn’t have applicant tracking or performance management, so you’d need to find solutions for those when you’re ready. In fact, Homebase offers both, at least for hourly staff. We otherwise recommend Indeed as one of the best free applicant tracking systems. Upon hire, you can import applicant data from Indeed directly into Gusto. 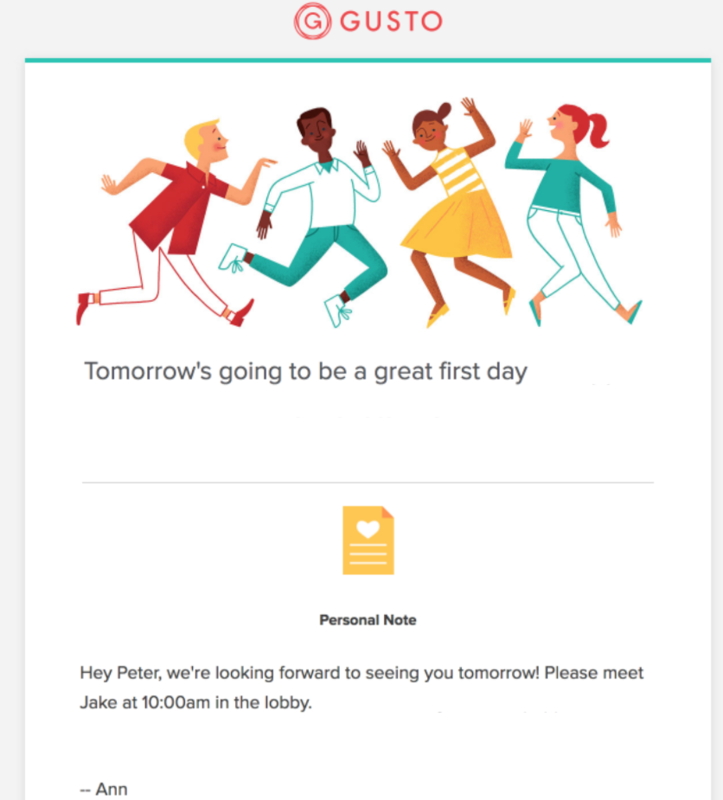 New hire onboarding is so slick. You input the employee information, including the employee’s email address, and they’ll get a welcome link. Then, they onboard themselves, review and sign documents electronically, and get reminders such as where to report or park on their first day. That provides your employee with a professional new hire experience. Many small businesses think they can’t afford employee benefits, but with Gusto, it’s easy. Gusto is an insurance broker as well as an HR/payroll vendor. Therefore, they provide all kinds of health benefits, saving you the trouble of looking for or negotiating with separate benefits providers. That means even the smallest companies can offer health insurance benefits to their employees using Gusto. The benefits service is included in the base price, and since it’s integrated, enrollment and benefits management is done in the same self-service employee portal as all the employee’s other HR information. Employee self-service is proven to save you time. Employees can find their own pay stub or their own copay insurance amounts. They can add a dependent (e.g., new baby) and make other personal changes online without ever having to get you involved. Similar to Paycor and OneMint, employee self-service with Gusto puts employee information at their fingertips. Unlike Zoho People, payroll and taxes are built right in with Gusto. In that sense, it’s more similar to OneMint and Paycor. Each payroll cycle, Gusto calculates both employer and employee payroll taxes, and makes the payments to the correct federal, state or local agency on your behalf. Running payroll with Gusto takes mere minutes. And, if your labor force is salaried, you can run payroll on autopilot. Gusto provides support by phone, live chat and email from 6 a.m. to 5 p.m. PST, Monday through Friday. There’s also a support center with video guides and helpful articles. Although you can set up interfaces, Gusto currently doesn’t offer applicant tracking and recruiting tools to find employees. It also doesn’t provide performance management tools to manage online employee reviews. However, if you already have a review form and process, you can store your ratings and review form templates within Gusto. Gusto also doesn’t yet offer health insurance benefits in all 50 states. Gusto consistently earns five out of five stars on our review page as well as on third-party software review sites. It’s perfect for small businesses, but some may outgrow it after reaching about 100 employees. We recommend BambooHR as the best HR software for HR compliance due to its built-in applicant tracking system and recruitment software, customized onboarding process for new employees, and thorough performance management add-on module that is $1/month extra per employee. All of those features are important for a business that wants to monitor their labor law compliance, such as ensuring their hiring practices are fair. And, it can save you money and time when all that data is organized in the same place. Bamboo costs $99/month for 12 employees or less. Otherwise, it’s about $8/month per employee, which is in the range of Gusto, OneMint and Paycor, although much more expensive than Zoho People. They offer their platform only on a month-to-month basis, so there are no annual discounts. However, they do have a free 14-day trial. In addition, unlike most of the other HR software we reviewed, they charge a setup fee that can run anywhere from $250 to $2,000. That’s a hefty fee to pay if you have just a few employees! Unlike Gusto, Paycor and OneMint, which offer payroll and benefits, BambooHR is more of an all in-one HR software that includes things like recruitment, applicant tracking, onboarding and performance management. Payroll is not included. However, it manages time off, which employees can request via mobile app, as well as asset tracking. That lets you keep track of equipment, like vehicles, phones and laptops, that you may have issued to your employees. BambooHR integrates recruiting with their HR software. Once you select an applicant, you can move their data directly in your HR system. In addition, BambooHR’s recruiting software provides a full applicant tracking system, from job board posting, to employer branding, to an easy-to-use online job application form for candidates to apply. BambooHR saves your employees and your HR staff time. It provides self-service, ensuring employees can check their own PTO balances, find their benefits information and even know who is out of the office. That prevents them from calling or emailing you with these routine requests. They can submit time-off requests, and even look up co-worker contact information in an employee directory. BambooHR has all the tools, from annual employee reviews to ongoing feedback, that allow you to manage workplace performance. It’s all built into their HR system. You no longer have to develop reviews on paper and track down whether evaluations have been done or not. It’s features like this that make BambooHR best for professional HR staff. It saves them—and you—time. Fortunately, BambooHR does offer integrations with time clocks, org charts, payroll, scheduling, benefits, 401(k) vendors, and employee praise apps. So even though you’ll have to add those on, you can get BambooHR to behave like an all-in-one HR software program. In comparison, Paycor and OneMint, for example, have those features baked in. BambooHR provides support Monday through Friday by phone, email and online chat support. Their hours are 8 a.m. to 6 p.m. MST. BambooHR doesn’t have the native integration with payroll and benefits software like Gusto and some of the other all-in-one HR software have. Therefore, you’ll have a few more steps each pay period. Another downside of BambooHR is the hefty setup fee, which software like Zoho People and Gusto don’t charge. BambooHR has good ratings on online review sites, including a five-star rating on ours. Namely is targeted toward mid-sized companies and is priced two to three times higher than the other all-in-one HR software we reviewed. However, for complete integration across the entire HR life cycle, it does it all, including payroll. It also allows you to customize and tailor everything from dashboards to data entry forms to fit your business processes and brand. Besides an employee database, it provides a way to communicate with employees via a news feed. You can also view org charts, manage user roles, set up workflows, manage your company calendar and store all your important company resource documents (such as your employee handbook, standard forms, and job manuals). In order to get accurate pricing for Namely, you have to contact them for a quote. Third-party sites indicate that the pricing ranges from $15 to $30/month per employee, which is much higher than the other options we reviewed. They also have a setup fee similar to BambooHR and OneMint. The setup fee is based on the number of staff you have and can range from $50 to $80 per employee. 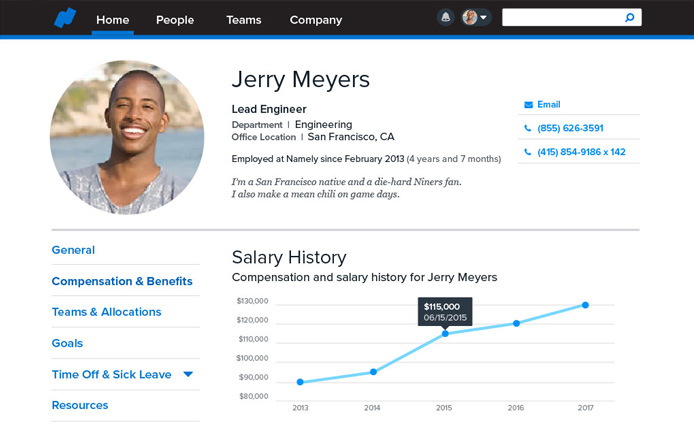 Namely offers every HR feature an HR professional would want to automate. 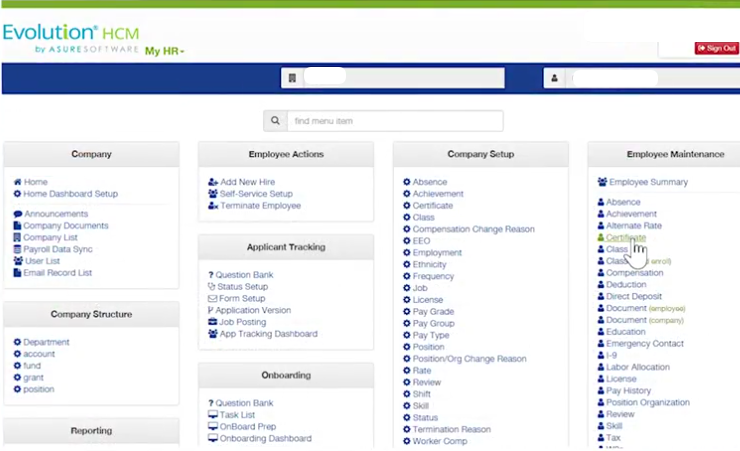 It allows your HR team to customize the software, from org charts to employee profiles. It also has a mobile app to ensure you and your employees have access to the data they need from anywhere. Custom workflows are one of the features that can save you time and ensure compliance by making sure everything, from time off requests to bonuses, is approved. Namely does HR, benefits, payroll, talent management, onboarding, performance reviews, and timekeeping. It adds one additional feature the others don’t offer: managed services. That allows you to pay to have someone else manage HR and all these functions on your behalf. Namely provides dashboards for different functions, such as timekeeping. Additionally, it provides you with a dashboard to monitor staff activities. These all-in-one screens give you and your employees quick access to the HR data they need, whether you’re monitoring performance reviews or verifying hours worked. In addition to being able to customize Namely, you can also integrate it with just about any kind of software you use. Examples include ATS, e-signature, benefits, SSO, international payroll and more. In fact, it appears Namely provides more pre-configured integration options than any of the other HR software we reviewed. Namely provides all kinds of standardized reports, such as employee reports, salary reports, headcount reports, open position reports, and payroll reports. In addition, you can customize these reports and manage whatever data you prefer to view on your dashboard. Namely provides a managed services option that lets you get out of the business of HR and payroll. For a fee, they’ll manage everything from benefits enrollment to labor compliance reports on your behalf. They’ll even serve as your employee service center and provide employment verification. These services mimic what a PEO provides. For additional information, here’s an article that compares Namely to a PEO. Both you and your employees can contact Namely by phone or email, 9 a.m. – 9 p.m. EST to get help using their system. However, to protect your business, Namely won’t provide employee information over the phone. They’ll advise employees to contact you instead. In addition to being pricey, Namely takes eight to 12 weeks to implement. That’s likely because they’re customizing it exactly to your needs. And, since they don’t provide pricing online, you’ll have to navigate through a sales pitch to get an accurate quote for your business. Users on review sites (including ours) generally give Namely four out of five stars. Price seems to be a big deterrent, as well as some integration issues between Namely’s HR and payroll functions. For more information, here’s our customer review of Namely. We recommend Evolution HCM if you’re a payroll service provider. Evolution HCM is a complete, all-in-one HR system, similar to Namely, OneMint, Gusto and Paycor, in that it provides benefits and payroll in addition to HR data. It’s a great alternative to Namely and adds training to its HR offerings. Like Namely, it supports the entire HR life cycle: recruitment, onboarding, benefits, payroll, communications, performance management, and training. Evolution is unique in that it doesn’t license its software directly to businesses. Instead, it provides the software to payroll service providers and vendors who then provide login credentials to their clients. Outsourced payroll can cost from $50 to $250/month or more. Some providers price by the number of payroll runs, and others by the number of employees you have. 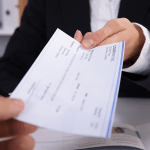 For example, if you have Wells Fargo manage your payroll, chances are Evolution HCM by Asure is the behind-the-scenes HR software you’ll have access to. Here are some of their other vendors and partners. To get accurate pricing on what your payroll would cost, you’d need to find a bank, bookkeeper, accounting or payroll firm that uses Evolution as its software tool. That provider would then offer you would a quote based on how many employees you have or how often you need payroll to be run. 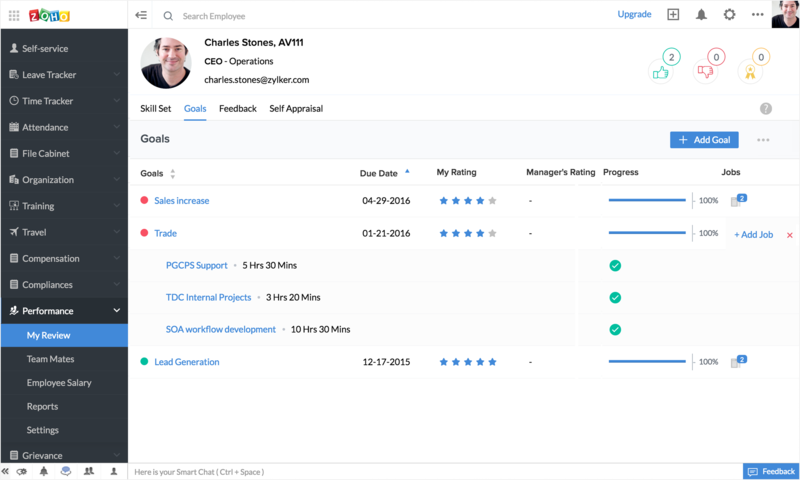 Evolution features all the HR tools you’d expect in good HR software, from data on your employees to employee reviews. It allows you to source employees with job posting, track applicants within the ATS system and provide onboarding. Once hired, you can monitor all aspects of each worker, from their position to their payroll history. It also manages training and certification employees need for their job. It provides all this information in a helpful employee dashboard. Here is a bit more information on some of these key features. With Evolution HCM, you’ll be able to track licenses and certifications employees might need for their jobs, from food handler safety to forklift certification, as examples. It’s like a built-in LMS. 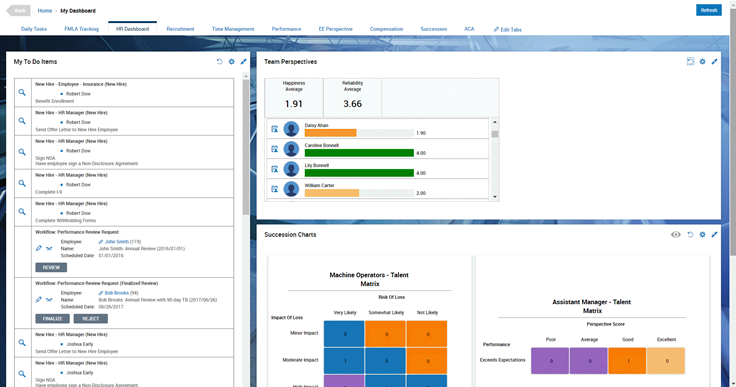 You’ll be able to assign, manage and monitor employee training from a dashboard. That lets you know when someone’s license is up—helpful to make sure your insurance, banking, real estate, and notary employees can continue to do their jobs legally. 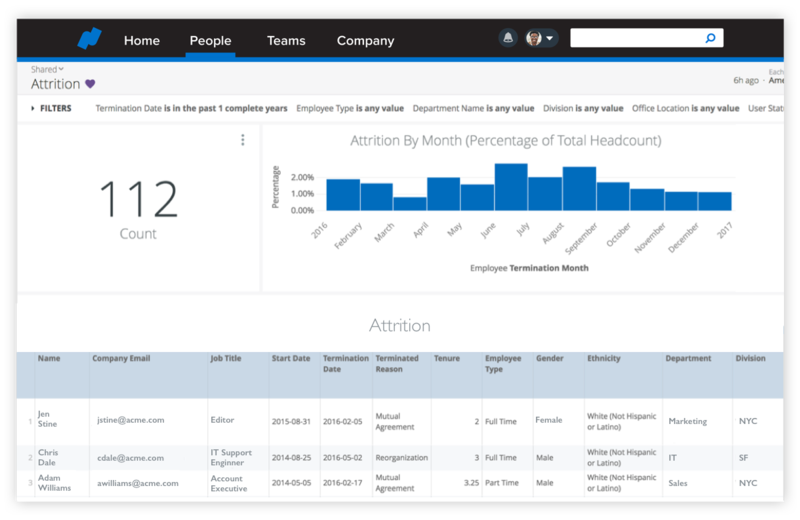 From the dashboards, employees can find key documents, view company announcements and get links to websites they use for their job. Like dashboards on other HR sites, they can also access their pay stubs, tax documents, and PTO balances. This gives employees control over their data and reduces the time you spend tracking down information for them. Reports have been pre-designed within Evolution HCM based on years of providing businesses with the decision-making and monitoring tools they need. In addition, you can customize reports for your business or request that your payroll service provider customize them for you. Support is provided by phone and email during standard Monday to Friday business hours, EST. Their resource center can only be accessed by logging in. However, since you’ll be working with a payroll provider, they’ll likely be your go-to person for customer support. Evolution HCM is a great software tool that you can’t directly access unless you’re working with a payroll provider that uses the software they provide. In addition, the user interface isn’t as updated as some of the newer software, like OneMint, Zoho People, and Gusto. User reviews are strong for Evolution HCM, from both the business and the payroll administration point of view. Basic HR No payroll or benefits. Consider BizMerlin, CakeHR, PeopleBookHR or Web HR. Open Source Those with IT support. Consider OrangeHRM or freemium software like Employee Connect. Time and Attendance Software Those needing timekeeping tools. We recommend Homebase, as it’s free. Recruiting or ATS Software Recruiting or applicant tracking. Consider Freshteam, Indeed or Zoho Recruit. HR Software Apps One off HR tools. Find apps online or consider Snappii Mobile Apps. Performance Management For performance reviews or 360-degree feedback, consider Freshteam or Zoho People. Spreadsheets & Paper Files Not costly, but also not very useful. Professional Employer Organization A co-employer or PEO for a monthly fee. Consider ADP Total Source or Zenefits. Payroll Software Free payroll software, or a payroll service that includes HR data. We recommend Gusto. HR software can help you manage the people side of your business. It can ensure you remain compliant with federal labor laws, such as anti-discrimination, and state workforce requirements, like overtime. HR software improves productivity, monitors workers on the job, and offers benefits. However, not all small businesses need all those features. If you’re looking for a modularized approach, where you pay only for the components you need, you may want to consider Zoho People. 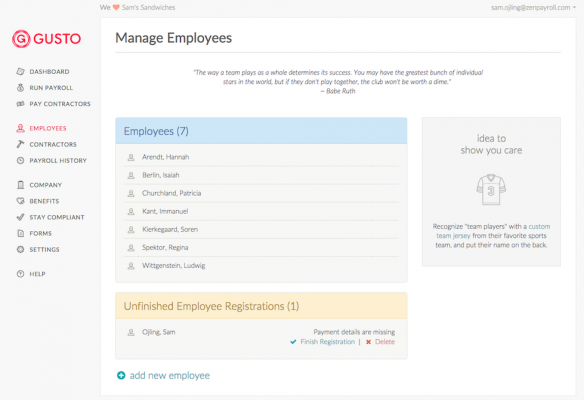 It provides HR forms, reports and leave tracking, and is free if you have fewer than five employees. And when you’re ready for the time or performance management components, you can add those on for only $1 to $2/month per employee. I spoke with Brandon, a customer success rep for BizMerlin, via Chat box twice over the course of two days. Having spent my entire week assessing and talking with reps from HR Solution companies, I was very happy to connect with Brandon. He was helpful, informative, succinct and friendly. He understood my questions and provided clear answers. His help made me more inclined to consider BizMerlin, a company I had never heard of before, as our HR platform solution. Making a decision is tied to more than just the product itself and if he is a reflection of the rest of his support team and the rest of the company’s commitment to service, then I am very much a fan of BizMerlin. Hi Tiffany – we have been using BizMerlin since 2016 and it is hands down the BEST HR system out there. We tried 3 other systems in the prior years, and they all have different drawbacks. BizMerlin has soooooo many features and their team is always launching new goodies. We have been super happy with the choice. Let us know how it goes! If you choose to use BizMerlin, we’d love for you to share a review of your experience on our HR software reviews page.